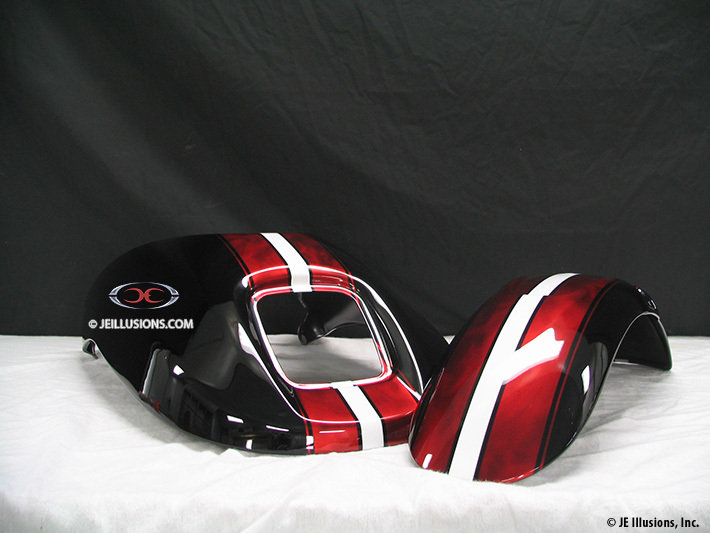 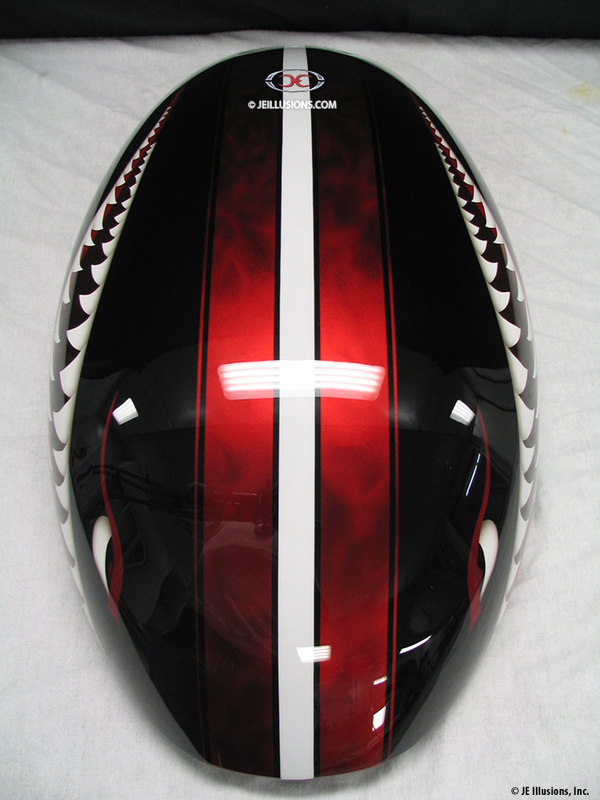 Vivid kandy apple red racing stripes and pinstripes run down this paint job accented with free hand airbrushed smoke effects. 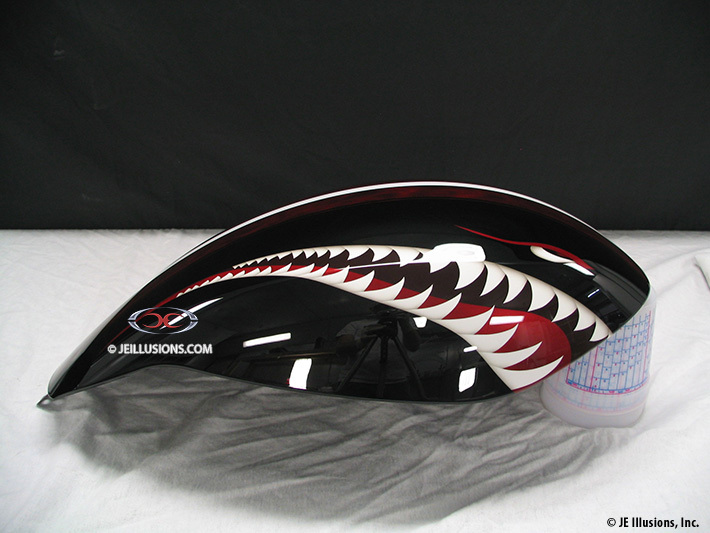 A very aggressive sharks mouth was designed in a modified version compared to the old WWII shark mouths seen on planes. 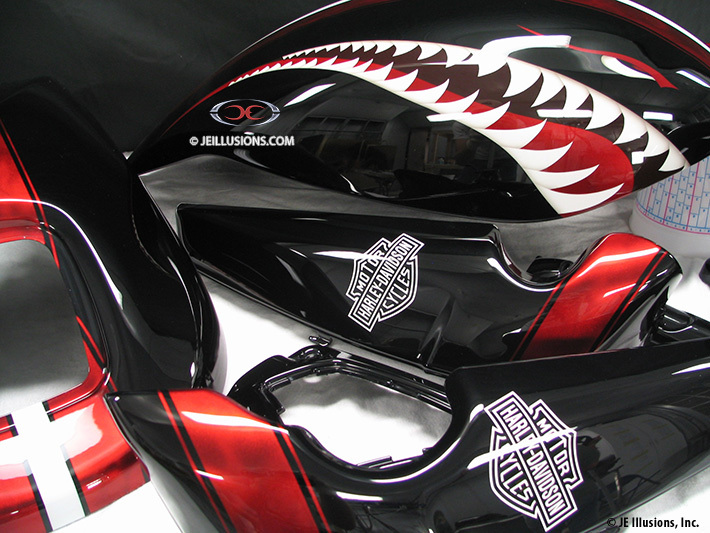 All these designs are over the top of some of our super wet looking jet black gloss.